From the alternative-country sounds of upright bass and acoustic guitars to the angelic harmonies, everything on the album is gorgeous. 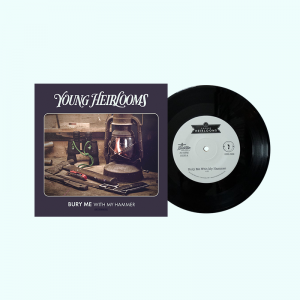 Young Heirlooms have crafted a distinctive sound both comforting and inspiring. Each song spins a story of love, passion, or perseverance like a personal account. The songs are fantastic in every way but they feel more like stories rather than something you would dance to. Part of the appeal in this kind of songwriting is intimacy. Folk music is pretty simple on the surface; acoustic guitar and a handful of rhymes. However, what elevates that simplicity is passion. 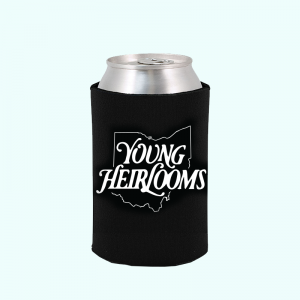 This is where Young Heirlooms shine. The music they create on this album is warm, honest, and authentic. Sentimental music has a tendency to weigh albums down and make getting through them a bit of a chore. 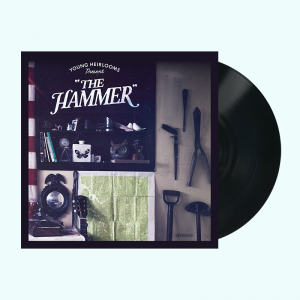 Surprisingly, despite being so intimate, The Hammer is still a pleasure to listen to. Between the wit and chemistry among band members, Young Heirlooms never get too dark. With standout tracks such as “Darling Dear”, “Over and Over”, as well as the aforementioned lead single, my personal favorite aspect of The Hammer is the instrumentation. Of course, there’s guitar, bass, pedal steel, and mandolin, but the vocal performances blend perfectly into the instruments, creating a rich soundscape missing in many mainstream releases. 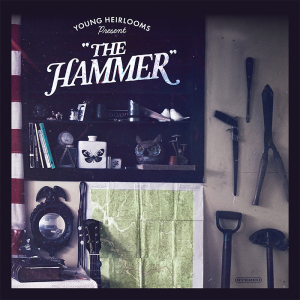 Overall, Young Heirlooms are a part of a journey in Cincinnati’s music scene and The Hammer is the perfect starting point.